HP Inc. was in the red in just about every category possible in 2016, but fast forward two years later and the company is solidly in the positives, posting high growth every quarter and gaining market share at a record pace. But according to CEO and president Dion Weisler, HP isn’t letting all the success get to its head. 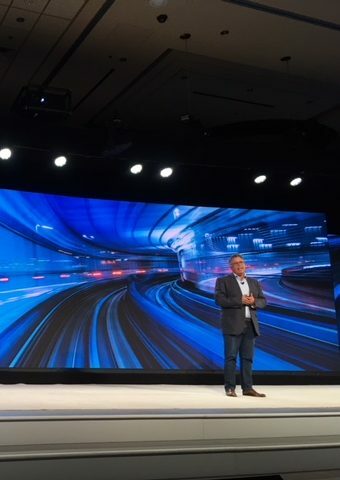 “My biggest fear isn’t our competitors, it’s becoming arrogant and complacent,” Weisler told the crowd at the company’s Accelerate Executive Forum 2018 in Las Vegas on Apr. 11. 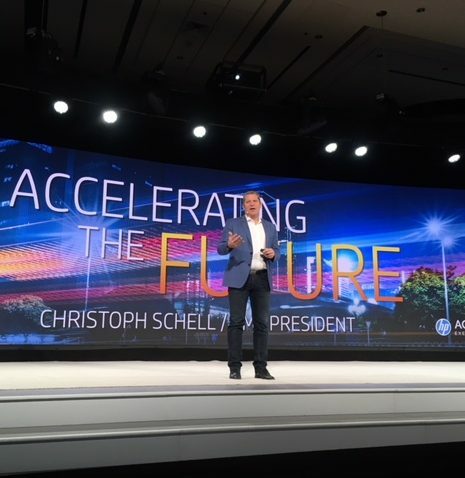 Somewhat ironically, he and HP’s Americas president Christoph Schell then dove into just how much the company grew in Q1. Overall revenue, personal systems, services, printers, and A3 all saw double-digit growth, and HP grew 10 per cent year-over-year. “Our fantastic 2017 fiscal year – and now 2018 Q1 – has painted a target on our back. We need to stay razor sharp in protecting our business and investing in the future,” Schell added. Everything-as-a-Service – “This is essential to any digital transformation strategy. It gives customers the opportunity to move away from big one-time lump payments to more manageable subscriptions, which on the partner side, also locks down business for years,” Schell explained. “Our strategy hasn’t changed drastically over the last four years, but the world around us has. Our goals are to drive accelerated growth for our partners, invest in the future, and win the right way,” Weisler said. “We also measure our success by our impact on sustainability and the environment, how we increase diversity and inclusion, and our ability to invest in communities at a local level. We want to win the right way because it’s not just the right thing to do, it’s also a business imperative. Sustainability drives growth,” he added. Most employees, particularly young ones, genuinely care about sustainability and want to buy from brands that do good, Weisler continued. As a result, HP has seen an increase of 38 per cent in deals with a sustainability requirement in the last year and over a billion dollars in revenue where sustainability was a key driving factor. IT World Canada recently conducted a survey and interviews of Canadian resellers. The study, sponsored by GoDaddy, reveals that Canadian SMB resellers have taken great strides forward to adapt to the digital era. Mandy is the senior video producer and staff writer at IT World Canada. She is a Carleton University journalism graduate with extensive experience in the B2B market. When not writing about tech, you can find her active on Twitter following political news and sports, and preparing for her future as a cat lady.